Make sure to be at Stannards Stadium on Saturday as the Bombers play off for a spot in the Grand Final. Tickets are now on sale to see the VFL Bombers play off for a spot in the Grand Final this Saturday afternoon in the preliminary final against Casey Demons at Stannards Stadium. Against the odds, Essendon has shown great fight to reach the final stages of the season. 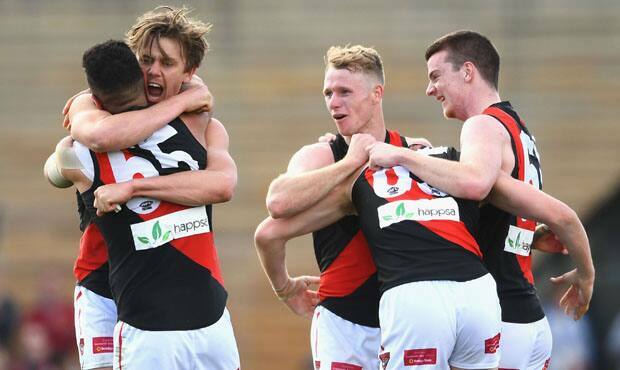 The Bombers needed to win their last two games of the season to secure a top-eight finish before terrific finals victories over Collingwood and minor premier Richmond in the last fortnight. The Demons impressively won their way directly into the upcoming match when comfortably defeating Geelong by 89 points in their qualifying final after finishing second on the ladder with a 14-4 record in the home and away season. The first bounce is scheduled for 2.10pm, with gates opening to the public from 10:30am ahead of the AFL Victoria Female Young Guns curtain raiser at 11.45am. The victorious side will face the winner of Sunday’s preliminary final between Williamstown and Box Hill in the Grand Final at Etihad Stadium on Sunday, September 23.